Personalize your gifts from Julius Meinl by entering your text into the greetings box. Please limit your entry to 40 characters (incl. spaces). Your personal message will be engraved by laser onto your product. Share your feelings and surprise your loved ones with personal messages that come from the heart. 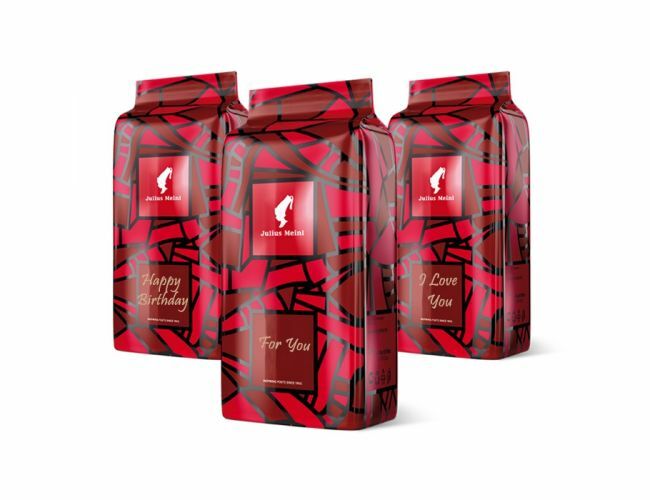 Espresso Gold differs from other Italian espresso brands in one way: while many Italian brands add Robusta beans to their coffees, Julius Meinl uses Arabica beans only. The coffee beans are sourced from the highlands of East and Central America, some of the best coffee growing regions of the world. The slightly darker roast results in a perfect balance between acidity and bitter substances, creating a sophisticated espresso experience.